The beginning of a new year is a great time to reflect on your life and the lessons you have learned over the past year. 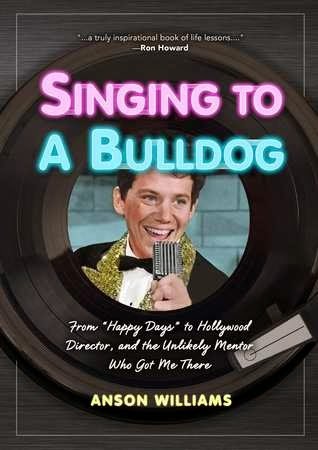 In SINGING TO A BULLDOG, Anson Williams, better known as “Potsie” from the popular TV Series, Happy Days, shares his life lessons. The lessons that carried him to stardom came from an African American janitor that become Williams mentor and friend. Willie Turner may have been an alcoholic, depending on whiskey to keep him going, but the lessons he shares with Williams during a critical point in his life have shaped him into the man he has become today. Anson Williams shares his life growing up in a home where his parents didn’t expect him to amount to much. A chance job in a department store, working as a janitor with Willie Turner, set him on the path to stardom. With Willie’s nudging and guidance, Williams had the fortitude to go to auditions and keep going until he finally got the break he needed. Each chapter shares a lesson he learned from Willie and a personal story that relates to the lesson. Williams shares his experiences from singing in night clubs, to when he realized he was a “star”, to chance meetings with famous people like President Ford’s daughter, Robin Williams, Dolly Parton and John Lennon. His stories are inspirational, heartfelt, and uplifting. Every time Williams was given a break, he found a way to also give back, remembering an important lesson from Willie. 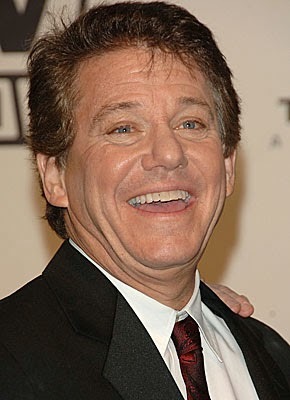 Anson Williams gives a lot of credit for his success to fellow actor/director Ron Howard. Williams shares numerous examples of Howard’s kindness, selflessness, and wisdom while acting and directing together. One day, Williams complained to Ron Howard about always being known as “Potsie”. Howard states, “What are you complaining about? I’m stuck with two, Opie and Richie.” Howard goes on to explain, “Of course they are going to call us by our character’s names; that’s how they know us. We have to earn our real names. We need to accomplish things as individuals.” After reading this book, it is obvious Ron Howard and Anson Williams have definitely accomplished that. Readers can learn a lot from Willie’s wisdom and how Anson Williams used those lessons to create an amazing life, capitalizing on opportunities, and giving back to others. Fans of the show, Happy Days, will appreciate the inside stories from the show and its characters. Those looking for an uplifting read will find ways to make their days “happy” with Williams’s anecdotes. This is a great interview with Anson where he talks about his chance meeting with John Lennon (a story he shares in the book), his time on Happy Days, and about his business venture with surprisingly…beauty products. Anson Williams wrote his memoir after reading and taking tips from HOW TO WRITE A MEMOIR IN 30 DAYS by Roberta Temes, PhD. To see my review of this book, click HERE. Best known for his Golden Globe nominated role as Warren “Potsie” Weber on the series Happy Days, Anson Williams is also an award-winning television director and writer as well as a singer and producer. He has directed more than 300 hours of television for a variety of series, including Beverly Hills, 90210, Sabrina the Teenage Witch, and The Secret Life of the American Teenager. He won the prized Humanitas Award for his writing, has been honored by the United States Patent and Trademark Office, and served on the board of the USO. Together with business partner JoAnna Connell, he founded StarMaker Products, an international product company. He lives with his wife and five daughters in Los Angeles, California. Thanks to FSB Associates for sending a copy of this book for the purpose of this review. This review is my honest opinion. I was not compensated in any way for this review. If you choose to purchase the book through the above link, I may receive a small commission without you having to pay a cent more for your purchase. ← From My Family to Yours – Merry Christmas and Happy New Year!